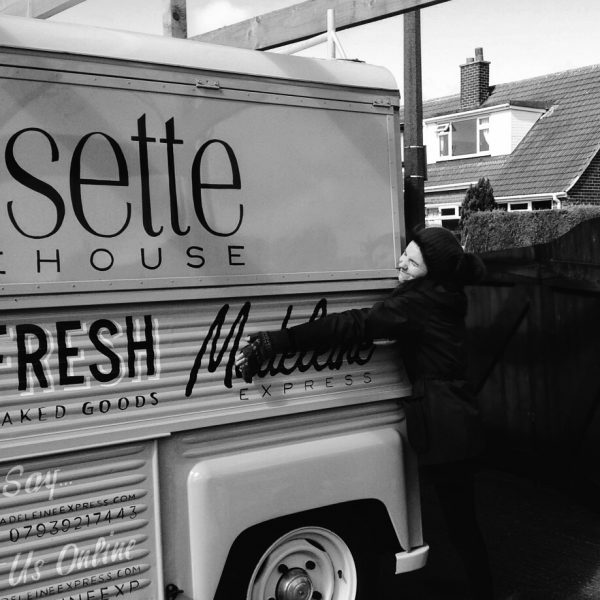 Sarah Lemanski is founder of Noisette Bakehouse, a curious micro bakery intent on hand crafting the most intriguing baked goods around and is also the owner of the Madeleine Express, a 1978 Citroen HY van, beautifully reborn as a bakery on wheels with a nod to its French roots and petite cake namesake. 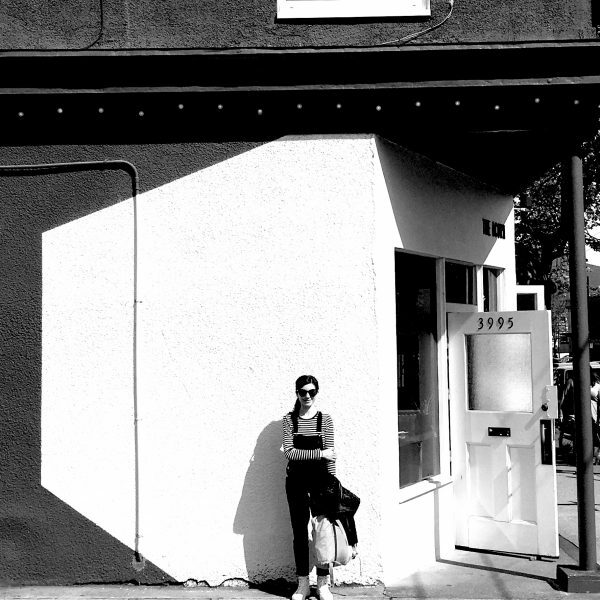 Sarah’s inspired creations are a culmination of her varied interests, garnered from books, nature, travel and art. Her love of international baking, from Japan to Eastern Europe and her penchant for unusual ingredients from Miso to Kefir, combine with her strong Yorkshire roots and sensibilities to create original recipes that have her customers queueing wherever she pops up next. Her selection of baked goods both sweet and savoury convey a unique style of modern baking that produces flavour forward and well considered cakes, pies, tarts and patisserie. Famed in her hometown of Leeds for the infamous Salt Caramel Brownie, along with her trademark creation the Morning Cake™ and the endless array of gluten free, dairy free and vegan treats unlike any kind you’ve seen before. It is this passion and dedication that won her the Young British Foodie (YBF’s) Baker of the Year 2014, a well regarded award judged by experts in the field of food and drink. Base. Test kitchen. Lab. Home. Sweet treats rustled up here are a visual feast for the eyes, destined to be devoured. Signature bakes include the Morning Cake, Salted Caramel Brownie, Nutter Butter Brownie and the Toscakaka. 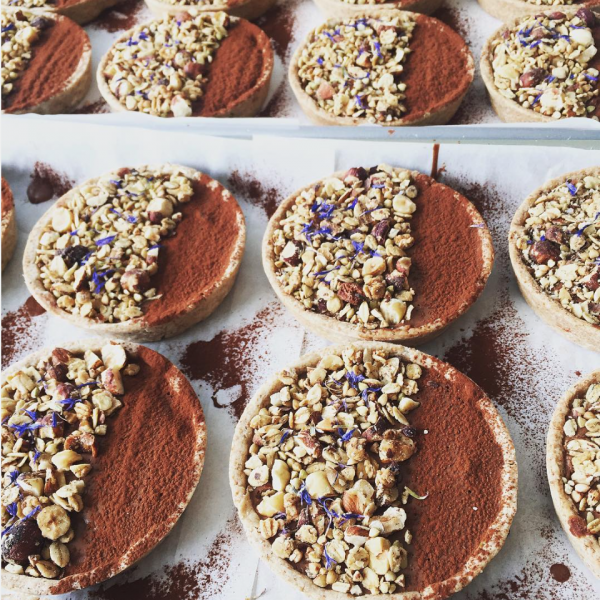 These cake creations have gained notoriety and hard- won, loyal following with Leeds locals. You can find them everyday at Laynes Espresso, New Station Street, Leeds and Stories in Oakwood, Leeds. Madeleine is a 1978 Citroen H Van repurposed and refurbished to dish out the desserts that dreams are made of, anything from hot puddings in the Winter to serene chocolate terrines in the Summer and every seasonal cake and bake in between. Fully fitted out with all that is needed to take the Bakehouse goods on the road and to serve them in style alongside locally roasted coffee, fine tea and cold beverages. The Madeleine Express is available for hire for unique celebrations, whether it be a birthday, wedding or special anniversary. Full consultation service is available on request to allow a bespoke menu to be developed to suit your personal preferences.